Kony Ealy wasn’t the only veteran defensive end the Raiders signed this week, as Oakland announced that it has also inked edge rusher Jacquies Smith. 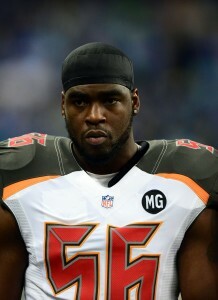 Smith, 28, had established himself as a serviceable pass rusher for the Buccaneers (13.5 sacks from 2014-15) before a torn ACL ended his 2016 campaign after only one game. After working his way back to full health, Smith had played in only one 2017 contest with Tampa Bay before being cut. He latched with the Lions for two games, but spent the last two months of the campaign out of football. Earlier this summer, Smith drew a bit of interest, working out for the Colts before landing a one-year deal withe Cardinals in July. He played in three games for Arizona but didn’t make much of an impact, as he saw only 29 snaps on defense to go along with 23 on special teams. After being released in late September, Smith worked out for Oakland last week before landing a deal Tuesday. Smith (and Ealy) should both be given a chance to contribute in the Bay Area, as the Raiders have fielded the NFL’s worst pass-rushing unit through a half-season. After trading Khalil Mack prior to the regular season, and waiving defensive end Bruce Irvin last week, Oakland ranks dead last in the league in both sacks (seven) and adjusted sack rate. The Raiders’ defensive end rotation is now led by Frostee Rucker, Fadol Brown, and rookie Arden Key. The Cardinals signed defensive end Jacquies Smith to a one-year deal, according to a team announcement. To make room, the club waived/injured defensive lineman Praise Martin-Oguike. Smith, 28, established himself as a serviceable edge rusher for the Bucs (13.5 sacks from 2014-15) before a torn ACL ended his 2016 campaign after only one game. After working his way back to full health, Smith had played in his first contest of the year during Week 4 last year, but saw action on only seven snaps. Smith wound up signing with the Lions during their bye week in 2017, but did not play in any games for them. A second stint with Detroit later in the year resulted in two appearances for Smith, but he recorded only one tackle. Smith is the third noteworthy defender to join the Cardinals this week, following safety Tre Boston and linebacker Arthur Moats. The Cardinals signed Benson Mayowa earlier this year to be their first defensive end off of the bench, but Smith has a real chance to also make the roster as a reserve. The Colts have eight tryout players on hand this week, including cornerback Keenan Lewis and defensive end Jacquies Smith (Twitter link via George Bremer of The Herald Bulletin). Wide receiver Paul McRoberts, cornerback Juante Baldwin, running back Jordan Huff, safety Tim Scott, defensive end Evan Panfil, and defensive end Christian French are also among those looking to hook on in Indy. Lewis, 32, has not played since the 2015 season when he suffered a leg injury. In 2016, the Saints released him as he was slow to recover from a hip malady. He nearly rejoined the Steelers in 2017, but a medical red flag kept him from signing. Pittsburgh doctors reportedly found that Lewis had undergone a “failed surgery” and he filed a grievance against the Saints this year to recoup some of his lost salary. Lewis, a 2009 third-round pick of the Steelers, spent the first four seasons of his career in Pittsburgh. After serving as a reserve through his first few seasons, he started all 16 games for the Steelers in 2012, compiling 71 tackles and one forced fumble. 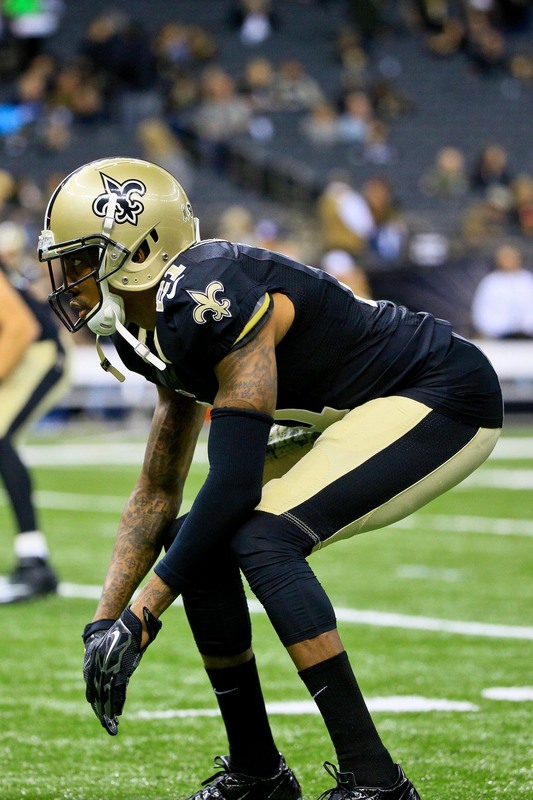 He ended up signing a five-year, $26.3MM deal with New Orleans during the 2013 offseason, and he started all 32 games for the Saints in 2013 and 2014. However, he suited up just six times in 2015. The Lions will deploy a third punter this season, but this one is at least their preferred option. Sam Martin will return to his post as Detroit’s punter on Sunday night after the Lions activated him from the non-football injury list Saturday, Kyle Meinke of MLive.com reports. To make room for Martin’s roster return, the Lions cut defensive end Jacquies Smith. The Lions signed Smith last week after the Buccaneers waived him earlier this month. Martin will make his season debut after residing on Detroit’s NFI list since the preseason concluded. The fifth-year punter dealt with a foot injury sustained away from the team, but the Lions have not disclosed how it occurred. Detroit cut veteran punter Jeff Locke earlier this week. Locke held down the fort for the Lions, who lost previous Martin replacement Kasey Redfern to a season-ending injury suffered during Week 1. The 27-year-old Martin, though, is coming off a season where he posted the second-best net punting average (44.2 yards) in league history. The one-time fifth-round pick — and recipient of a Lions extension in 2016 — played in 64 regular-season games from 2013-16 prior to suffering this summer setback. Signed during the Lions’ bye week, Smith did not play in any games for the team. A two-year Tampa Bay starter, Smith suited up for one Bucs contest prior to being waived this season. The fourth-year player will head back onto the waiver wire. The Lions have claimed quarterback Brad Kaaya off waivers and signed a pair of players – defensive end Jacquies Smith and offensive tackle Bryce Harris, per Field Yates of ESPN.com and Michael Rothstein of ESPN.com (Twitter links). To make room, the Lions have cut defensive linemen George Johnson, Datone Jones and Caraun Reid. Kaaya first broke into the league as a sixth-round pick of Detroit in 2016. 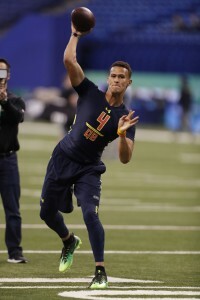 Although he didn’t have the arm strength of others in his class, scouts were enamored with his football IQ and poise. When he was displaced from the Lions’ roster in early September, the Panthers were there waiting to grab him off of waivers. Now, he’s back where he started after the Panthers booted him in favor of Garrett Gilbert. Smith, 27, was a serviceable edge rusher for the Buccaneers (13.5 sacks combined in 2014 and 2015) before a torn ACL shut him down just one game into the 2016 season. This fall, he was cut by Tampa Bay, freeing him up to try out for the Lions this week. Johnson spent the 2014 season with the Lions and proved to be an effective edge rusher. They circled back to him this year and they were optimistic about what he could do. Johnson had six sacks for the Lions in 2014, but he recorded just two tackles in four games for them this year. Jones signed with Detroit on October 10, but did not suit up for the Lions in their last game. He never got to actually play for the Lions, but on the plus side, he can say that he has been with three of the NFC North’s four teams.